New video for Breakers by Brianna Olson. Free download of Breakers and Twins here. We are happy to announce that our Acid and Everything EP will be distributed in Japan through Tugboat Records beginning today. Customers purchasing the digital version through iTunes Japan will also receive BriAnna Olson’s video for Animals. Christopher Barnes is hesitant to describe the sound of his own music. The singer and piano player makes up half of the Somerville-based band GEM CLUB (the other half is cellist Kristen Drymala). His reluctance is understandable — the duo’s music, while undeniably pretty, might come across to some as somber. “I think it’s contemplative,” says Barnes. “It makes you think about the past.” But now that the band has been signed to Seattle’s Hardly Art label, been featured on both NPR and PITCHFORK, and has a full-length album coming out in September and a tour starting in October, it’s clear that thinking about the future is unavoidable. Barnes, a solo artist at the time, met Drymala at a show two years ago. “I’ve always really wanted to work with a cellist,” says Barnes. “I saw Kristen playing at the Lilypad Gallery in Cambridge, and I asked her if she’d be interested in performing with me at an ’80s-themed house party.” Both are classically trained musicians (Berklee and the Boston Conservatory, respectively), and after mastering slowed-down versions of Cyndi Lauper’s “Girls Just Wanna Have Fun,” and Duran Duran’s “The Chauffeur,” Gem Club was born. Gem Club’s music is very intimate. How do you and Kristen achieve that vibe? I write the skeleton of a song and all the lyrics. By time we sit down together, most of the piano parts, melody lines, and lyrics are fleshed out, so we really focus on finding what sounds right. A lot of ideas have to be chiseled away at to find the perfect fit so we can retain that space and intimacy. A fair amount of patience is involved; sometimes that means going back and tweaking, adding more breathing room or taking it away. It’s a flexible blueprint. I’d been playing as Christopher Barnes and there are so many songwriters out there whose names I can never remember. So if I can’t remember, how is anyone going to remember mine? I thought it would be funny if I used Gem Club as one person, so when I was introduced it would just be me. But it’s also an homage to a musician who passed away a while ago whose music I admire. I thought it would be a fitting way to say thank you. Tell me about the band’s sound. It’s … dare I say … melancholy. That’s just what comes out. I think it’s just the way I was meant to be able to communicate in an artistic way. I don’t sit down and say, “This is going to be sad,” or “We’re really going to have a good cry at the piano.” That’s just how I write; it’s not intentional. I don’t feel sad. I guess that’s why I hesitate to use that word. A lot of people say they can relate to it, or say that it’s so beautiful because it’s sad. To me, when I was writing some of these pieces it was the opposite experience — it was very joy-filled. I feel lucky that it can mean one thing for me and something completely different for someone else. It’s a double-edged sword because people are very really dismissive of things that are sad, but people also really relate to sadness. 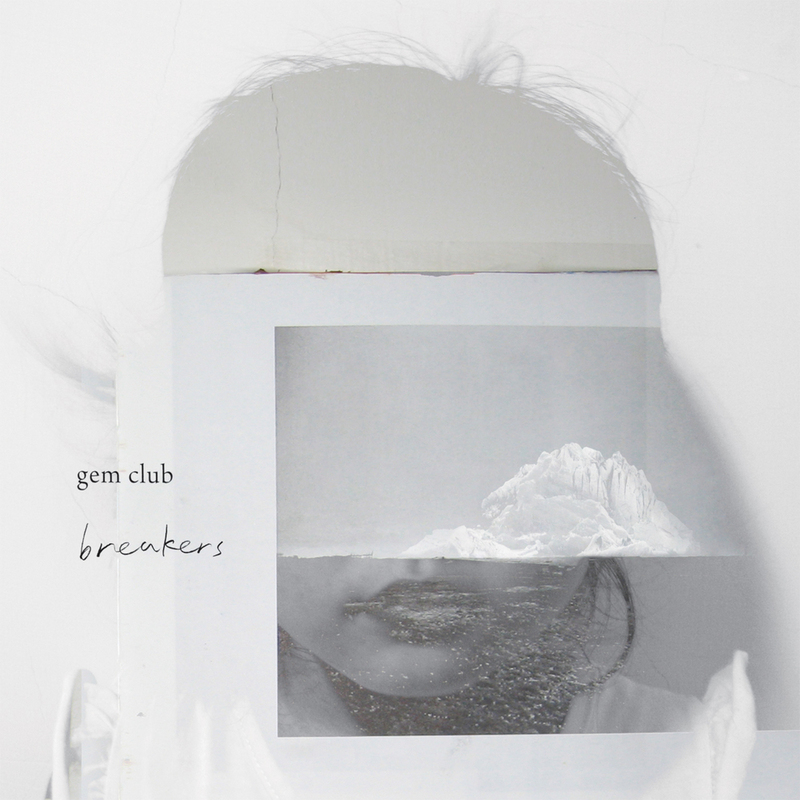 Your full-length album, Breakers, is coming out in September. Where was it recorded? I did the basic tracking in my bedroom. Then we went to Q DIVISION down the street to slap on the schmutz and the magic. We followed the same basic formula as the EP [Acid and Everything], but I had some tips to make the recording process a bit smoother this time around. So when you guys get famous in the next few months, as is apt to happen, are you going to move to BROOKLYN, too? No. No, no, no. That won’t happen. Me and Brooklyn are in a fight right now.